As I have been continually inspired by Kim Miklusak, the most recent inspiration was from her latest blog post on her reflections from NCTE. Since most of what I am reading is concerned with fear, doubt, hate on global events, I wanted to have a positive moment and reflect on the things I am thankful for this year. The first thing I am thankful for are my students this year. I know how it sounds. But really, they are great. I will try to give just one instance. I have been assigning Schoology checklists for some time, and this quarter I added a new element that was very challenging to my Human Geography students. 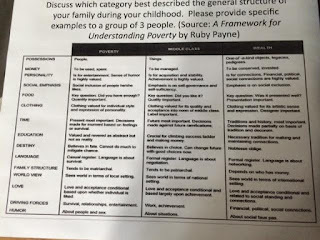 I took some time to explain to my students how they should view the checklist as an opportunity to receive feedback on their learning and gaps in their understanding. They are very aware of how much I love to talk about education. Anyways, I wanted to instill the idea that if they are struggling, they need to advocate for themselves. I gave them my email address and had them copy it down. After that day, I had so many emails from students emailing me when they completed the checklist, asking for quick help, or saying how they were embarrassed to ask for help in person. I was taken aback by those emails. Those kids should receive a special award for reaching out to me despite their anxiety. One student emailed me because she was going to miss the day before a summative assessment, and she wanted to ensure she was ready. This paragraph has gone on much longer than I intended, but my students are great! Another thanks goes to all the teachers that have allowed me to visit their classroom this year. I have been in to see graphics arts, math, English, PE, history, and chemistry courses this year. I am still amazed at how open our school is. Every time I asked a teacher, they have been so willing to share their classroom. An English teacher who is retiring this year opened his door to everyone to showcase how he teaches the writing process. He contributes to a movie blog and he went through the writing process for that blog with each of his classes. I have been a long time reader of the blog and was fortunate enough to visit his class one of the periods. I was blown away! It was amazing to witness how he writes, but also how he included his students in the process. A teacher who could have shut his door in his final year has been so open to sharing ideas and welcoming people into his classroom. I know I continue to grow because of the exposure to new ideas and dialoguing with peers about student learning. Before this gets too long, I am so thankful for the teacher led institute day. I sat in on a session led by the 2016 Illinois Teacher of the Year, Ricky Castro. The things he has accomplished and done for his students are amazing. How he reaches out to students and parents who do not have an easy access to the school is stunning. He quickly went through differences on cultural values and traits of different socio economic levels. I had many take aways from his session and so many questions that have been percolating. I saw why he was the teacher of the year in just a few minutes. 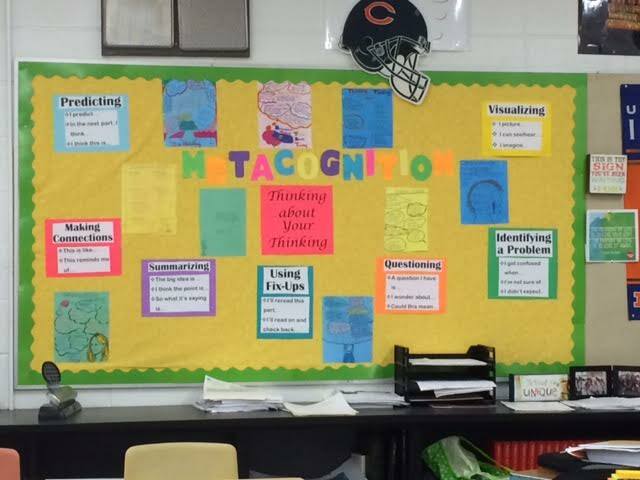 Finally, the other session I attended was by Emily Mikuzis and Jacqueline Figliulo on Metacognition. I have struggled, like many other teachers how best to get students to think. They had such positive stories to tell and I will follow up with a blog post just on that session. 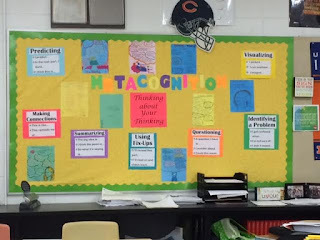 But, for now, it has changed my questioning technique in my classroom. These are just a few of the things I am thankful for this semester! An undertaking is a lone word that contains a versatile significance it. The business visionaries wind up viable with a huge practice and experience of the others,. These essayontime legit that arrange courses and events give the tremendous opportunities to clean themselves. Play games on your personal computer or laptop instead of purchasing a brand new one. Some old games will work on your computer or gaming system and they will not cost you a lot of money. You'll get the same experience without shelling out the big bucks.